15,000 odd words into the new book, and it’s flying along. Bounced some ideas off the A-bomb tonight and as always, she took a good thing and made it better, so I’m feeling mighty positive right now. 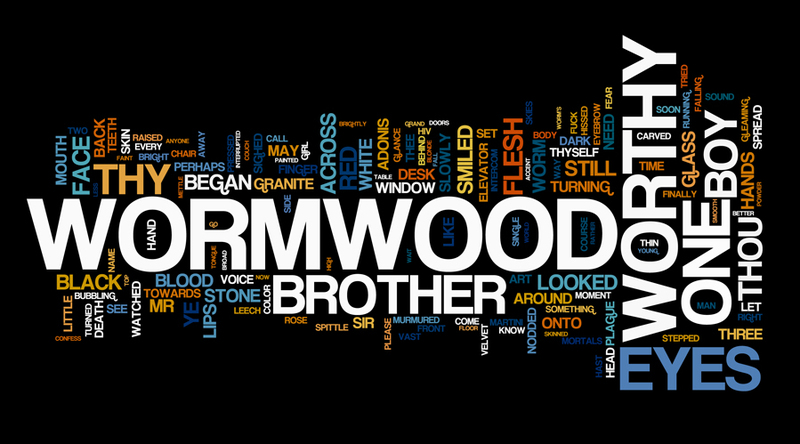 Above is the Wordle for my third chapter. I love this app, if it’s creator stood before me right now, I would love him in the pants. BTW, I think I’ve also discovered the greatest webcomic in the history of the interwebz.